My daughter used to be a picky eater. Since joining Claire’s Cooking Club she is much more open to trying new foods. I’ve seen a big change in my son’s attention span since he joined Claire’s Cooking Club. When we cook together, he shows great attention to details and patiently looks forward to the finished recipe. I look forward to seeing how this appears in other aspects of his life. Preschoolers are not too young to cook! 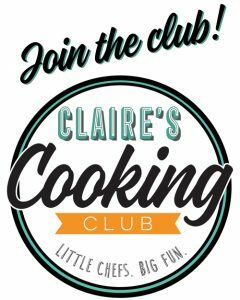 Cooking together is something new that I share with my twins since they attended Claire’s Cooking Club. I love watching them share tasks and they are willing to try new foods because they prepared the recipe. Kids don’t have to know how to read to cook. My four year old can’t read but he LOVES to cook! 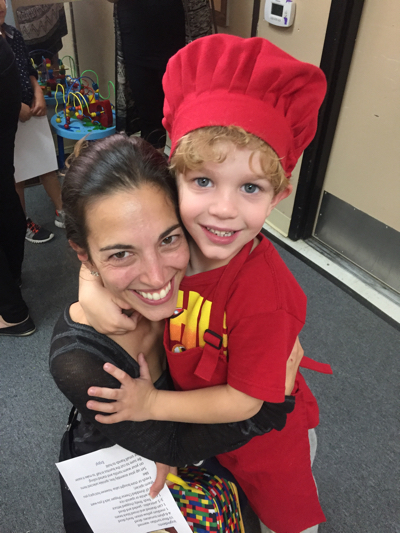 Thank you Claire for instilling a love for healthy foods and cooking in my son. I love you. When I saw you on Thursday, it made me wish I was still in your cooking club.